Discussion in 'Sager and Clevo' started by Danishblunt, Oct 9, 2018. The modified 8970 could reach a temperature of 86 degrees while playing. The laptop stood with an open lower service flap, on the notepal u3 with 3 fans that constantly blew air on copper radiators glued to the heatsink of the graphics card core, reducing the temperature to ~ 80 degrees. If I find a way to remove them gently, I will do it. At the moment, the lowest temperature for gpu with fan rpms forced to the max is 64 degrees. So yeah, nothing special. But p170 heatsink is not the same as p3xx one(i got both of them, the "better ones"). Khenglish, valuable remark, I did not include it. Not if you use notepal u3 plus. Originally heatsink was used for cooling ov/oc 8970m. 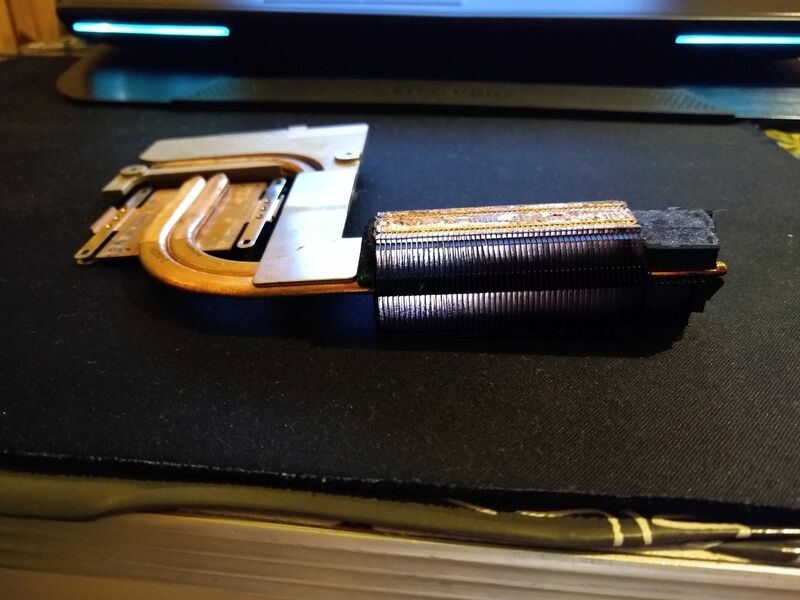 I did not dismantle them because they are glued and I do not want to damage the heatsink, the heatpipe mount is not as strong as the one in p370SM(gpu1/master). As soon as the new package comes, I will return to the modification of the CPU fan. The adhesive on those copper heatsinks doesn't hold up to the temperatures the CPU and GPU tend to dish out. Keep an eye on them, as they may come loose and you don't want them making contact with the board. 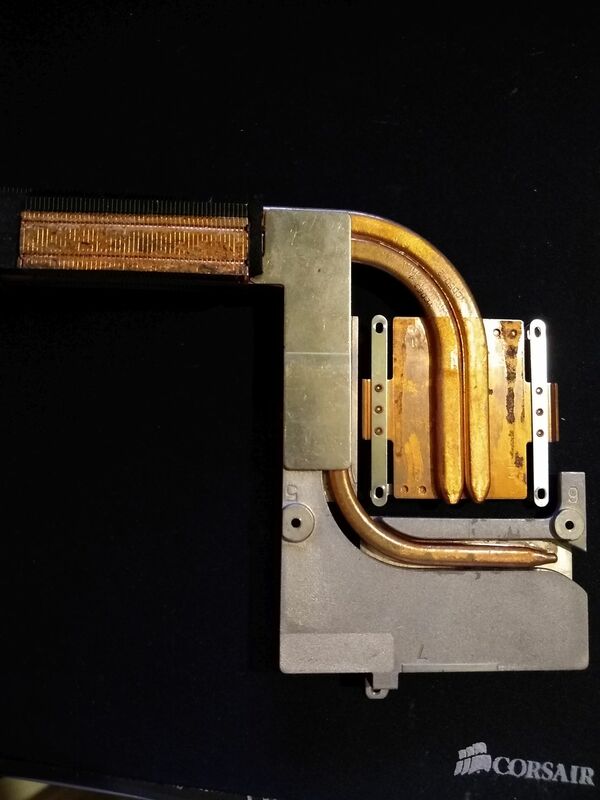 The only difference is a metal plate connecting the vram heatsink with the 2 heatpipes from the GPU. Otherwise they are the same. How large were your temp improvements? I see you are at 59C at 100W but what were you at before? Are you forcing the fan to max speed? I am skeptical that you saw much improvement because that fan blade is built to spin clockwise, while the fan shroud is built for a counter-clockwise rotating fan, and idk which way your motor will spin it. Inconsistencies with fan blade, shroud, and heatpipe/radiator design are what have prevented me from also doing my own fan blade for my GPU. The GPU radiator is built for a counter-clockwise fan due to the heat pipes coming in from the left, so you want more air flow at the start of the pipes, not the end. I do not know how much this matters though. A couple degrees, I'd say max 3-5c improvement. Fans are around ~80% according to Obsidians Fan control. Thank you for your advice. 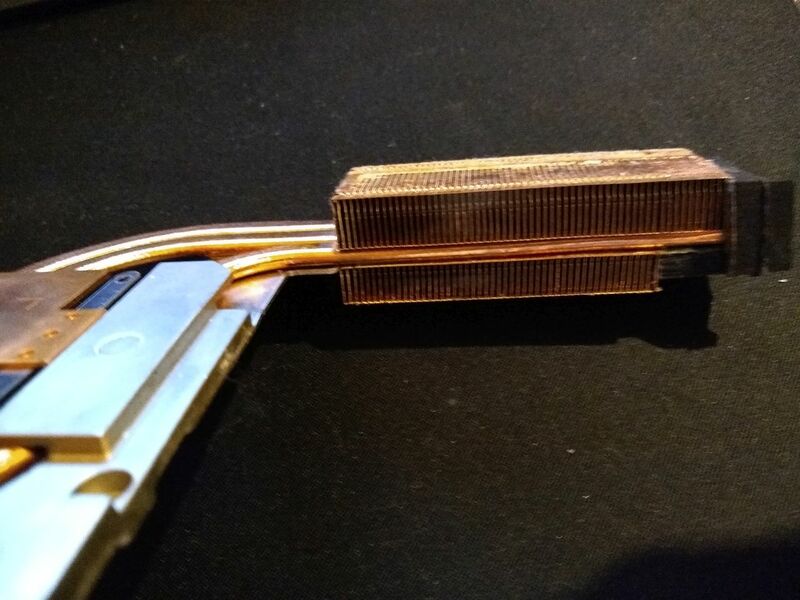 Copper heatsinks are attached to the graphics card heatsink with the Arctic Silver Thermal Adhesive, and not by black double-sided adhesive tape. Unfortunately, what you write is not true. You can see the heatsink from p170EM v2 on the previous page, and this is what the p3xxSM looks like. FTW_260 and Prostar Computer like this. In that case, you should be safe. Tell me the difference, since all I see is basicially the same heatsink. In term of thermal performance, they are pretty much identical. Aside from clevo trying to slightly improve on design which failed, there is no difference. Even tho the vram heatpipe is slightly longer it doesn't really change anything at all. ...Even tho the vram heatpipe is slightly longer it doesn't really change anything at all. Thanks to this, heatsink is more stable, and this plate also has a better transmitting heat than that the one from p710EM. I used both heatsinks in my clevo, the one from p3xx0sm had a few degrees lower temperatures. 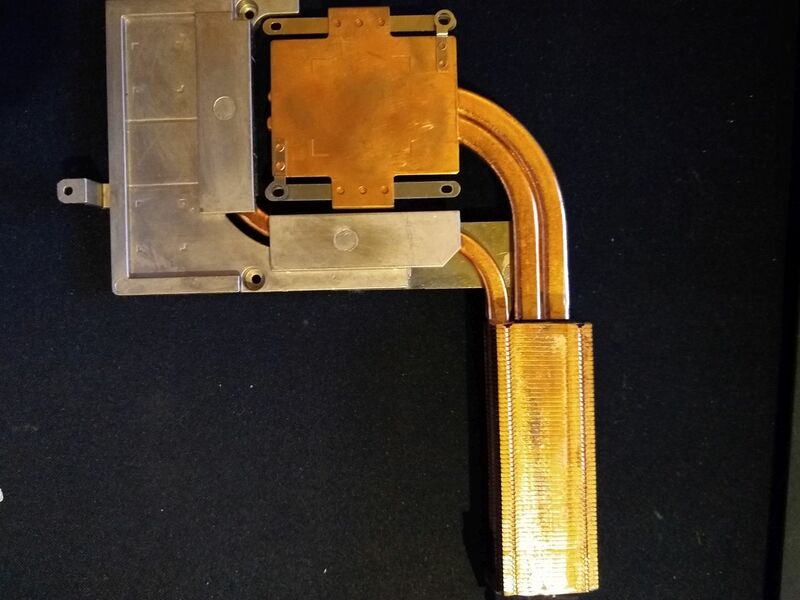 In addition, the heatsink installation from 3xx in the p1x0 series required modification of the service damper (cutting out). You should get a much larger improvement if you can flip the fan upside down within the shroud. Then your fan will spin in the direction the fan shroud and heatsink were designed for. Or flip the whole fan upside down like seen in new Clevo P775TM1.